Jennifer Rose Babysitter in Love 2 | Puzzle games | Donagames.com - free games for girls! Find the hidden Alphabets in the kids bed room using your observing skills. 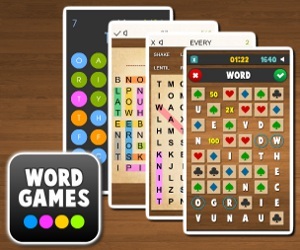 Why to have millions of word search games, when you can have them all in one game? Ultimate Word Search game lets players create their own word search games and share it with other people all around the world! The first car service station opened by a girl. How fast are your spelling skills? Bored of all match-3 games? Try then Bubblins Match-4! Jenny Rose works as a babysitter again and this time she plays with kids outdoors. Your task is to help Jenny to take care about kids, satisfy their wishes and needs, also you need to give some time to Jennifers boyfriend who comes to visit her with flowers. But dont forget about the children while flirting with the boyfriend. Take the kid from parents. Sit the child down in the sandbox on a free space. Wait for the childs wishes. Give the kids what they ask. Use upgrades after each level to improve your playground, buy new clothes, shoes and toys to increase kids patience. And dont forget about the boyfriend. Jenny has to flirt with him when he comes. You've got only 5 lives for the whole game.